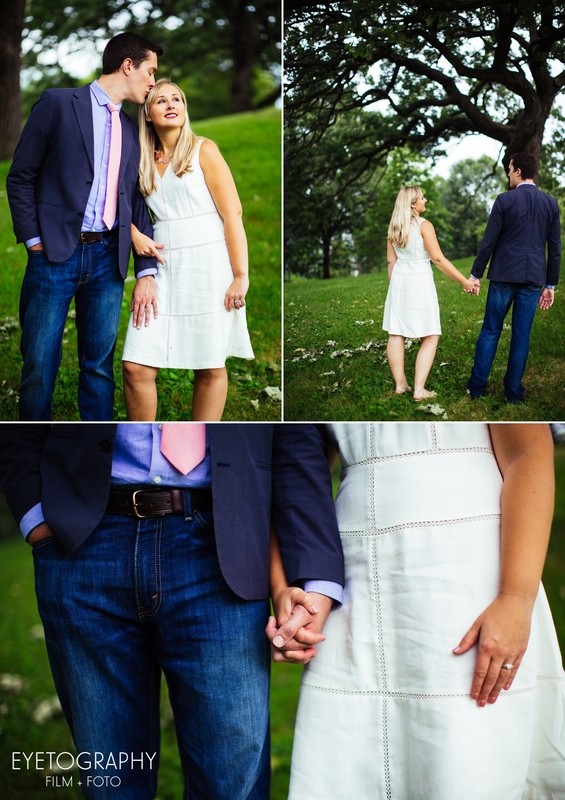 We met Garrett and Anna at 8am for their engagement session at Merriam Park. At that hour, it looked completely deserted, but it was less than half an hour before we had a curious visitor. We heard some rustling in the tall grass, and a little black cat appeared (thankfully before I had time to yell “PYTHON!” at the top of my lungs). 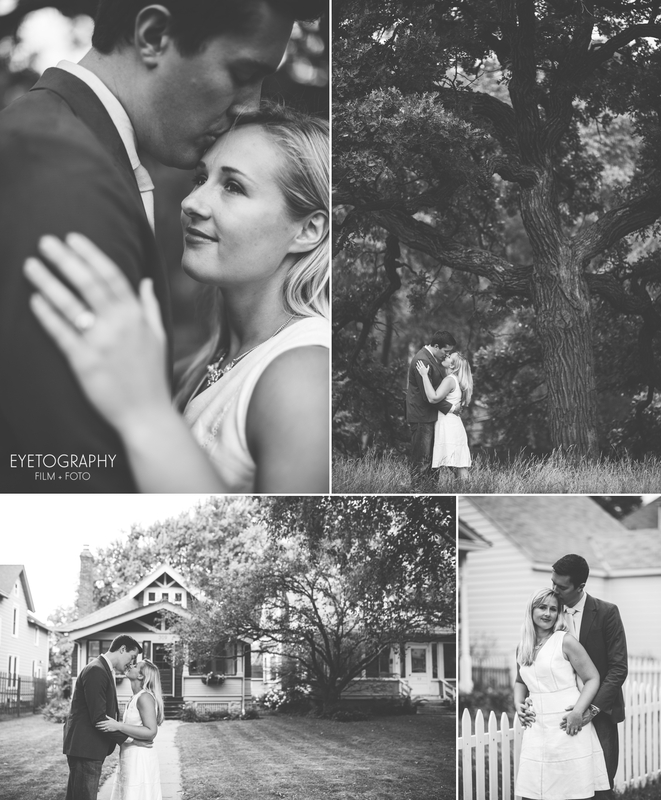 He walked right up to Garrett and Anna to join their session and demand some affection. Apparently, he lives across the street from the park, so I’m guessing he sensed Anna and Garrett exuding sweetness, and jumped off his porch thinking he was going to get some cuddles for himself.